LOS ANGELES, CA – (RealEstateRama) — LBG Real Estate Companies, LLC (“LBG”), a Southern California-based investor in retail real estate, announced that plans have been finalized for the redevelopment of Medford Center, a 420,000-square-foot regional entertainment and lifestyle shopping center in Medford, Oregon, which serves Medford, Grants Pass and Ashland area residents as well as the Rogue Valley’s 3.2 million annual visitors. 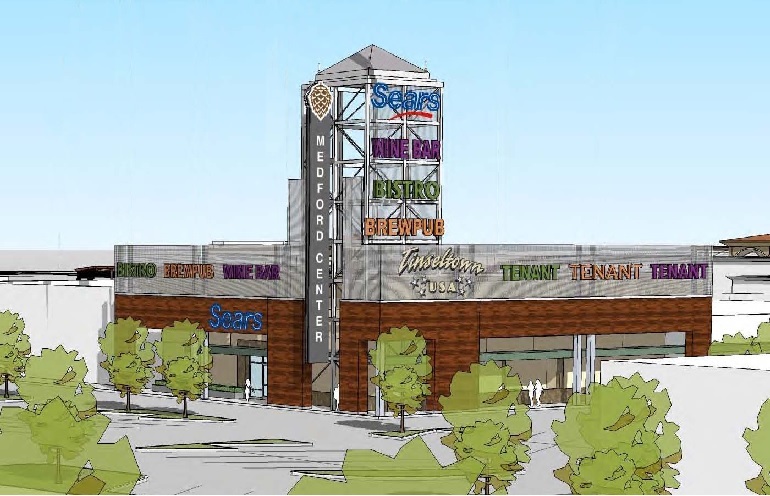 LBG plans to invest over $12 million to create more than 30,000 square feet of experiential retail and restaurant space for a variety of culinary offerings including brewery and wine-based concepts, complemented by the highly successful Cinemark Tinseltown Theater and other retailers in the already 90% occupied Medford Center. The southern Oregon economy is in full swing as the region continues to benefit from the surging local economy and net migration to the southern Oregon area. Wine Enthusiast magazine rated the area as one of the top ten Best Wine Travel Destinations in 2016. 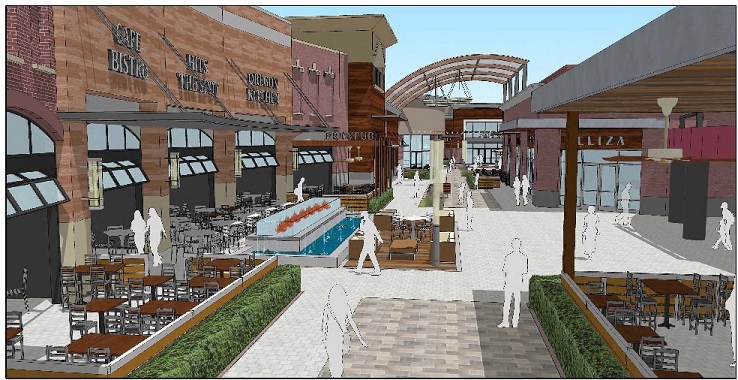 LBG’s renovation plans include completely redesigning and remerchandising the central pedestrian promenade, which has been re-branded as “The Village at Medford Center,” creating “an exciting, entertainment-oriented environment for people to gather, shop, and dine,” Goldman said. Plans include a reconfiguration of tenants to allow for an additional 30,000+ square feet of leasable space within The Village, designed particularly for restaurants, wine-bars and breweries with most spaces offering significant outdoor seating options. A new façade and all new hardscape and signage, additional seating and a water/fire feature will also be added. “The redevelopment will transform The Village into a key focal point and gathering spot for customers located in the immediate surrounding markets of Medford and Ashland as well as throughout southern Oregon,” Goldman added. The re-design includes glass garage door-styled roll-up storefronts allowing for multiple large, partially covered indoor/outdoor patio seating spaces in the central plaza of the center surrounding Tinseltown USA, the highly successful Cinemark-owned 15-screen movie theatre. Tinseltown, a major regional draw, is the largest theatre in southern Oregon. The redevelopment will also include an iconic and highly freeway visible tower, and dramatic signage offering significant visibility and branding opportunities for new restaurants, wine-oriented and brewery tenants, along with multiple new large monument signs at all of the primary entrances, Goldman noted. “The improvements to The Village with its contemporary, aesthetically-appealing features will help make Medford Center the premier restaurant and entertainment destination for residents in Medford as well as its documented 3.2 million annual visitors (projected to increase to 3.5 million visitors in 2020); 94% of which are leisure travelers,” said Goldman. LBG has already signed numerous new leases at the property, including the Collaborative Theatre Project (a live performance theatre). “We are encouraged by the overwhelmingly positive reaction received from potential tenants and the community to date and are excited about the opportunities for new dining and entertainment additions to Medford Center,” said Lauren Gausden, LBG’s Director of Leasing. LBG purchased the 37-acre shopping center in November 2014. Commencement of construction is expected to start in late August 2016 with completion in late 2017. Medford Center is prominently located off Interstate 5 and straddled by Medford’s main Biddle Road and Crater Lake retail corridors and encompasses nearly an entire city block. Tenants benefit from the shopping center’s exceptional visibility, high traffic counts, and over 2,400 feet of street frontage. LBG Real Estate Companies will have a booth (Booth #414) at the International Council of Shopping Centers (ICSC) Western Division Conference and Deal Making in San Diego, Calif., where the company plans to hold meetings with interested retailers and restaurant operators from August 30, 2016 – September 1, 2016. To set up an appointment, please call David Goldman, Managing Partner, at (310) 235-0444 x15. Based in Los Angeles, California, LBG Real Estate Companies, LLC is a privately-held real estate investment company that specializes in the acquisition, repositioning, and development of commercial real estate in the United States. 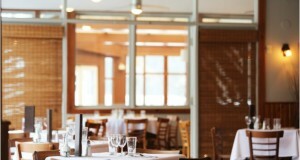 The company focuses on opportunistic investments with a strong preference for retail properties. LBG’s key objective is to generate superior risk adjusted returns through value creation and income appreciation, while minimizing risk. 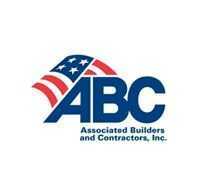 LBG seeks to acquire retail properties in the United States.